Jes Aznar/Getty ImagesRodrigo Duterte answers questions from journalists during a press conference on May 10, 2016 in Davao City, Philippines. Duterte is set to become the Philippines’ next president after Monday’s election. Philippine President Rodrigo Duterte addressed some concerns about his health during a speech on Thursday. “I don’t know where I’m now physically” he told soldiers and police officers attending a televised dinner he was hosting. Without explicitly saying he may have cancer, Duterte said he would not stay in office if that’s the diagnosis. Philippine President Rodrigo Duterte addressed some concerns about his health on Thursday. 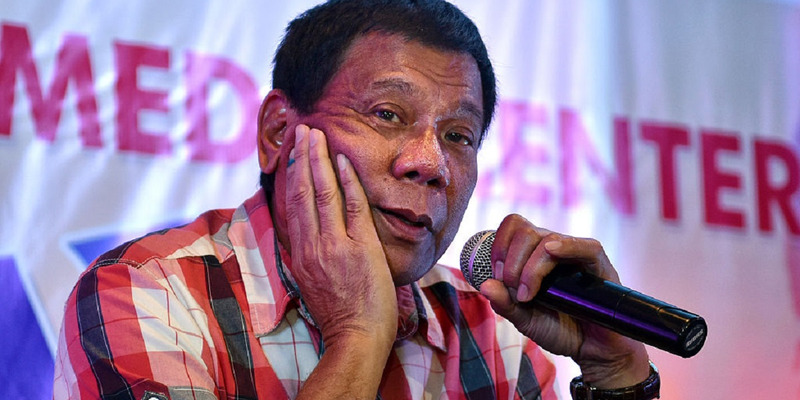 Duterte said during a speech in Manila that he had gone into hospital about three weeks ago to have an endoscopy and a colonoscopy to detect any abnormalities in his digestive tract. He has previously admitted to having Barrett’s Esophagus, a reflux disorder which washes stomach acid up to the esophagus. Duterte implied that the new round of tests may have to do with his esophageal condition, which may have worsened. “I ignored it, I didn’t stop drinking. So now, nothing. Regret, it always comes late. So it got worse,” he said. “I don’t know where I’m now physically” he said, adding that he was awaiting results from a second-round of tests his doctors had recommended. The 73-year-old, known for his bloody war on drugs, said he won’t stay long as president if that’s the case. Aides have repeatedly denied that Duterte had any serious health issues, despite his frequent and unexplained disappearances from the public. Presidential spokesman Harry Roque rejected rumours that Duterte had been in the hospital after he skipped an event at the presidential palace on Wednesday.